A leading energy and defence industry figure who was involved in the early stages of the NO campaign has come out strongly in favour of a YES vote on September 18. Ian Godden says independence will unleash an 'energy and passion' that will not only be good for Scotland, but will also lead to a much needed 'refresh' of the rest of the UK. The international businessman, who has more than 40 years' experience in the oil, aerospace and security sectors, says a NO vote would be 'a vote for the long-term decline of Scotland' and would be 'tragic'. Mr Godden, who comes from Edinburgh, is founder and chairman of independent oil company Glenmore Energy plc, a non-executive director of the Bristows Helicopters Group, and until recently chairman of Farnborough International, the company behind the Farnborough Airshow and other global aerospace, defence and security events. He is also chairman of KBC Advanced Technologies plc, a public consulting and software company involved in oil and gas production, and a Fellow of the Royal Aeronautical Society. He decided to write to family and friends laying out his five key reasons for backing a YES vote on September 18. 'I am not a fan of Alex Salmond, and certainly not of the SNP. However, having agonised over the issues, and to some extent been involved in the early stages of the Better Together Campaign over issues in defence, I am now very clear on what Scotland should do. Mr Godden, who has degree in engineering from Edinburgh University and an MBA from Stanford University, California, attacked the 'relentless scaremongering' of the NO campaign, particularly over oil, currency and Scotland's ability to complete internationally as a small, independent nation. 'The oil that Scotland has is a huge asset and No campaign propaganda about it running out is absolute nonsense. It amounts to the biggest political scaremongering I have heard in my lifetime - and I have heard plenty in my own time at Westminster and in international politics. 'The US has been described as running out of oil and gas for the last 80 years, but after major investment in the last five years it will see itself again as the fastest growing oil producer in the world, recovering its position also as the largest. 'With investment, Scotland’s assets will last for hundreds of years - and they should be used more wisely and carefully than they have been for the last 40 under Westminster stewardship. Mr Godden said the pre-vote stance of the anti-independence parties to reject sharing the pound after a YES vote was also a 'scaremongering tactic'. 'The oil assets in the North Sea are coveted by Westminster and have been a major underpinning of the pound’s strength over the last 40 years - and will still be seen as crucial for the future. Mr Godden said the idea that an independent Scotland could not do well industrially or in financial services because it was too small was another strand of NO campaign propaganda. 'Nine of the top 10 wealthiest countries in the world are small - six smaller than Scotland - some with oil and gas and some with a strong social, national and/or industrial policy, such as Singapore. 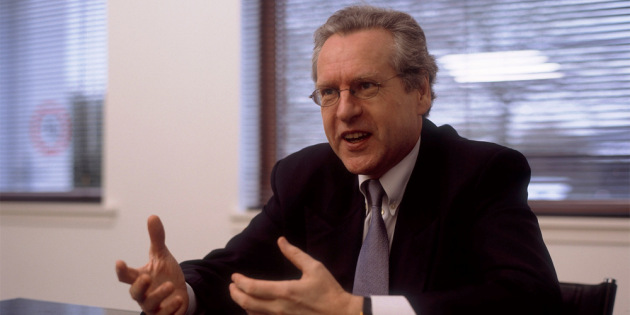 Mr Godden spent much of his early career in the international oil industry, gaining a reputation in Europe and the US as a leading strategic expert. During the 1990s he was UK managing partner and a European Board member of American management and technology consulting giant Booz Allen and Hamilton. From 2000 to 2004, he was UK managing partner of Roland Berger Strategy Consultants and from 2007-2011 he was Chairman of ADS, the trade organisation of the UK aerospace, defence and security industries. He acknowledged there many cultural, social and religious ties between Scotland and other parts of the UK. But he does not believe these would be broken after a YES vote. Mr Godden said his fifth argument for a YES vote was his strong belief that it could 'unleash an energy and passion that Scotland could do well from, and it could do the same for England'. 'The United Kingdom as a whole is in need of a major refresh and this would contribute to a wakeup call over its general drift over the last 30 years. The condescending attitude of certain people, with whom I have worked with for the last 40 years and experienced at first hand in Westminster, is regrettable but that is not my motivation in seeking a Yes vote, nor would it ever be. 'Scotland can become independent for much better reasons. A vote against Alex Salmond for personality reasons at this stage, in my view, is short term-ism and would be tragic because a No vote is a vote for the long-term decline of Scotland. 'I have always thought of myself as British, with an Irish father and family and a Scottish mother and family and myself living and working in England for so long. However, I have come to believe that my own British sentimentalism and the cosy feeling it provides has to be put aside for the sake of a people that are being dragged down and have a greater potential.